Anyone who works in an aircraft hangar can relate to the tedious cleaning efforts that need to be put into the floors each day. Chemical spills, oil leaks, and other factors often lead to the destruction of concrete floors in these hangars during maintenance which can lead to severe damage to the concrete and the airplane’s tires. Epoxy floor coatings may be the perfect solution to maintain the floors in hangars and allow the cleanup process to be simple and reduce the chance of the concrete absorbing harmful chemicals. Keep reading to learn about the benefits of having the floors of an airplane hangar coated with a layer of epoxy. Simplified Cleanup – Epoxy coated floors help maintenance crews in hangars clean the floors more quickly because the coating eliminates the need for tedious scrubbing to remove oil and other substances. 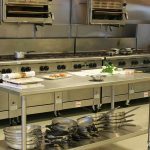 Repels Spilled Chemicals – Traditional concrete floors can be a safety hazard for maintenance workers because they absorb harmful chemicals which can be impossible to get rid of without replacing the entire floor. Epoxy coatings can keep crews safe because they don’t absorb liquids. 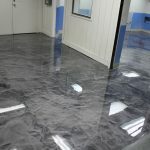 Protects the Concrete – Accidents happen, and heavy tools or other materials may be frequently dropped on concrete floors that cause cracks or large dents in the floor. 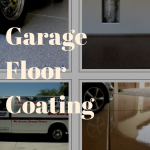 Epoxy coatings help protect the concrete foundation and can be repaired easily if they are damaged. Slip Resistant – Specialized types of epoxy coatings can provide useful friction in airplane hangars which helps reduce the chance of airplane tires skidding and maintenance workers slipping when water coats the floor. Are you interested in giving your hangar a beneficial upgrade? Contact Dream Coat Flooring today to learn about the many epoxy coating options we offer for airplane hangars.